We went for a boring trip to Sainsburys last weekend to get stuff for packed lunches (may have also stopped off at the Easter egg aisle but they are only around once a year you need to start early!) 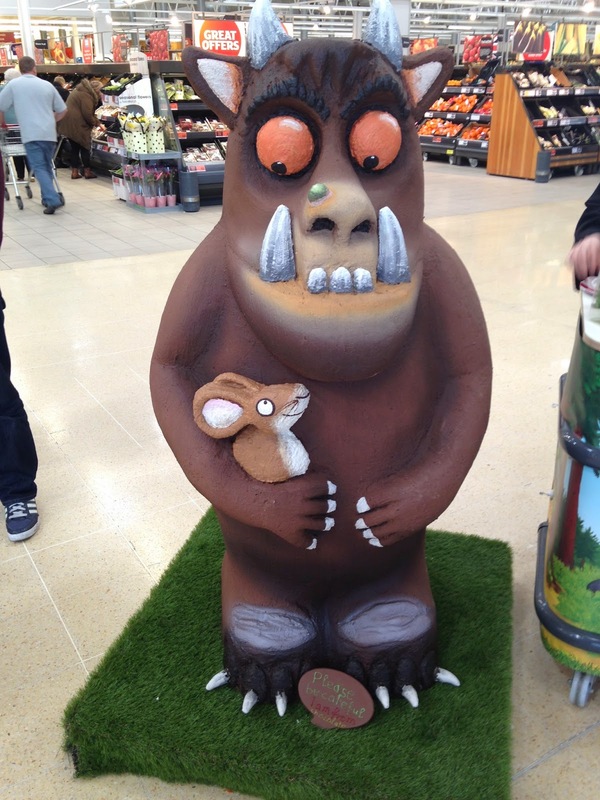 but we discovered a giant chocolate Gruffalo and got to taste some of the chocolate he was made of! 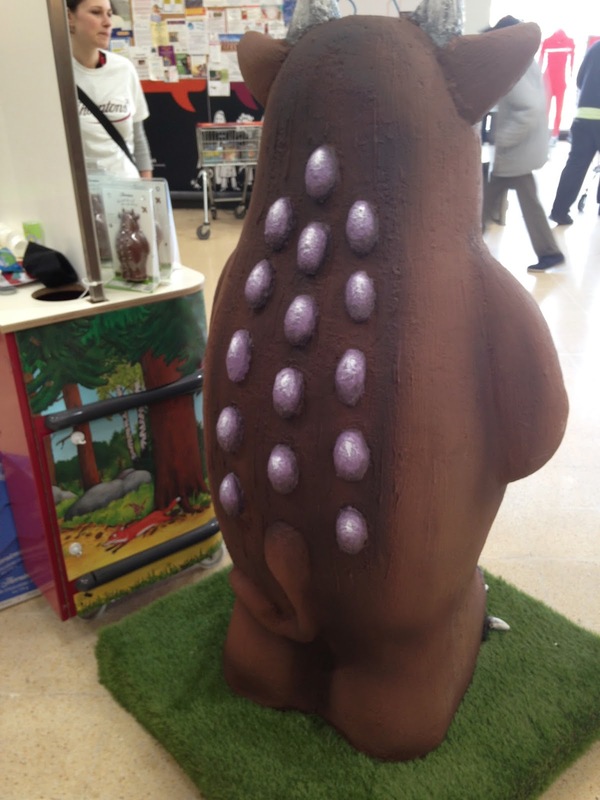 Created by Thorntons he will be touring various Sainsburys in the next couple weeks. 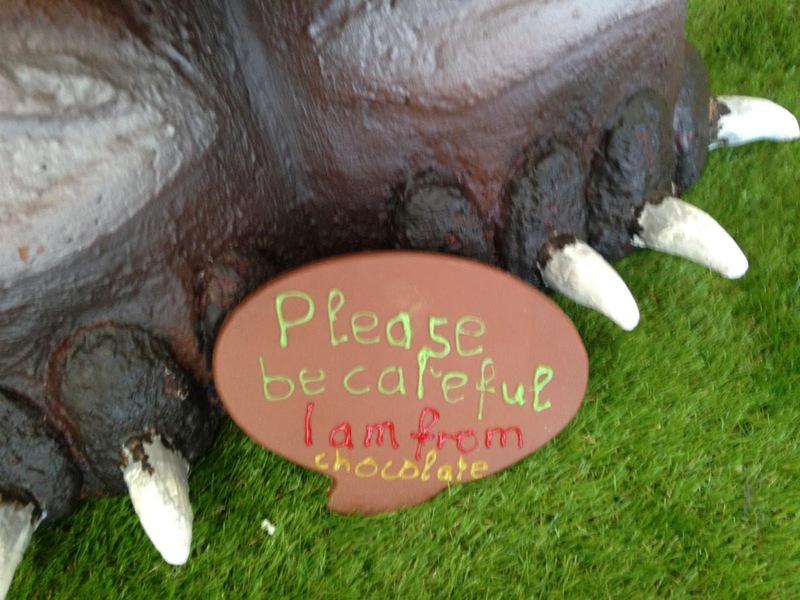 He was very impressive and had a little speech bubble asking for people to be careful around him, also made of chocolate! 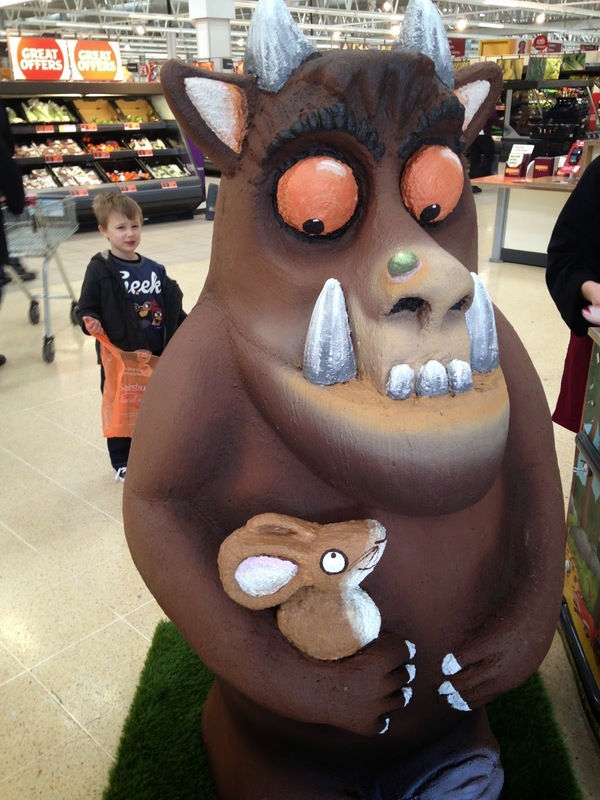 He was accompanied by someone from Sainsburys and Thorntons who told us all about him and gently let us down about the fact that he wasn’t going to be coming back so we could eat him. Check out the photos!